When talking about their all-flash offerings, many vendors will highlight—first and foremost—the cost savings as compared to traditional systems. The truth, however, is that this isn’t the biggest advantage of all-flash array adoption. The real benefit comes in the app flexibility you can gain by adopting an AFA. But of course, this all hinges upon choosing the right system for your business. 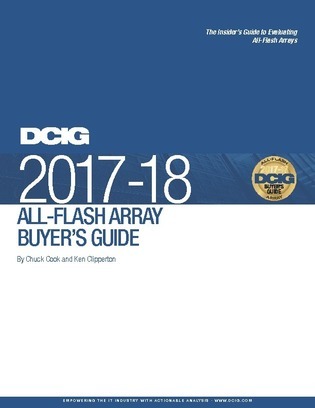 DCIG analysts do the heavy-lifting for you in this year’s all-flash array buyer’s guide, helping you quickly identify a shortlist of products that meet your enterprise’s specific needs. Download your copy now to find the most suitable AFAs for your workloads, with 12 vendors’ offerings ranked based on a rigorous 8-step process.